A large number of companies hope to take on Apple's iPad with their own tablets later this year, but the sheer number of options and limited consumer interest may lead to excess inventory. Market watchers told Taiwanese industry publication DigiTimes that Apple's competitors face a "high risk" in the tablet PC market, as demand scale is only estimated to be around 20 million units. Those customers will be able to choose from over 10 major players that are expected to release their own take on the touchscreen tablet in the second half of 2011. Both first-tier smartphone makers and second-tier companies are hoping to get in on the fledgling market, where Apple found success right off the bat with the launch of the first-generation iPad in 2010. Samsung launched its Galaxy Tab late last year, and the Motorola Xoom debuted earlier this year, but both devices saw weaker-than-expected sales. Market watchers are said to be concerned that other players, including Acer and Asustek, will find themselves in the same situation. In addition to competing with the market-leading iPad, major players like Samsung, Motorola, Acer and Asustek must also compete with smaller companies like Micro-Star International, ViewSonic and Gigabyte Technology in the enterprise market. "Since there are already many tablet PC models with different specifications causing a mess in the tablet PC ecosystem, the market watchers (are) concerned that the market will soon enter fierce competition with many players to start phasing out of the segment in the fourth quarter," the report said. On Tuesday, details of another major player's entrance in the tablet market emerged, with a new report claiming that retailer Amazon plans to launch a touchscreen tablet with an LCD touchscreen in the second half of 2011. Such a device would allow users to watch movies and listen to music, offering greater functionality than the e-ink-based Kindle reader. Weak sales of the Xoom, the first tablet running the tablet-oriented version of Google's Android operating system, prompted device manufacturers to delay the release of their own Android 3.0-powered tablets last month. 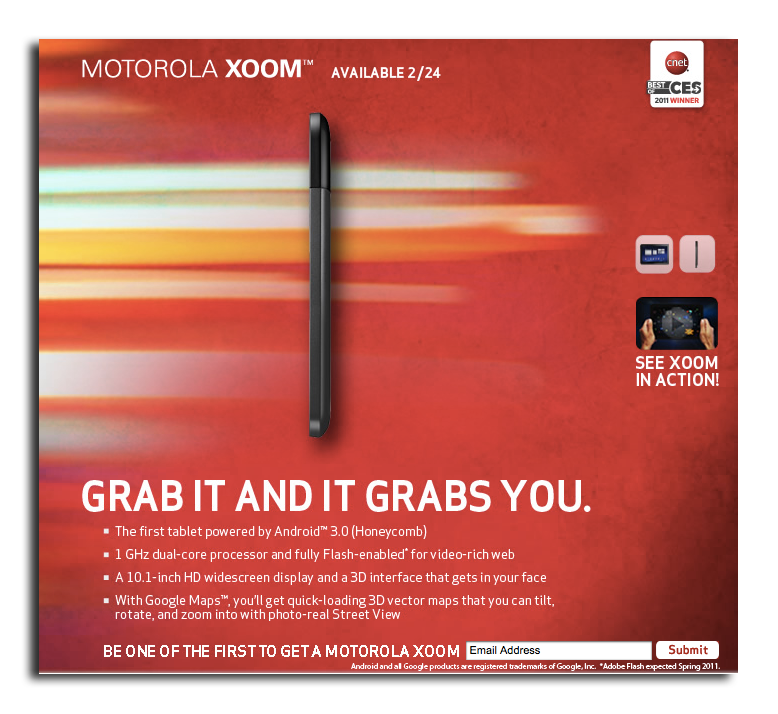 And Motorola is said to already be working on a successor to the Xoom, which is expected to launch in the second half of 2011. Apple meanwhile, sold 15 million iPads in 2010, earning $9.5 billion in revenue. In the last quarter alone, Apple sold 4.7 million iPads, a number that was even lower than expected due to supply constraints following the launch of the iPad 2.